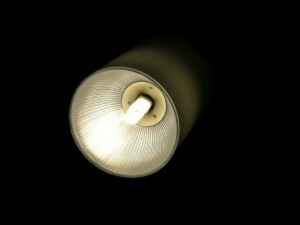 Odds are that your home and/or place of work uses halogen lamps. These have become so ubiquitous that we barely notice how many of them are installed in so many places. Just using my own home by way of example (and counting only the ceiling down lights) I have 10 in the kitchen, 5 in the hallway, 4 in each of three bathrooms (so that’s another 12) and 8 in each of four bedrooms. I make that 63 separate halogen lamps, each drawing 50 watts of power when in use, so 3,150 watts in total power consumption. Of course not all these lights are on all the time, but when the kids are around in the evening it can often be that most of them are on for around 5 hours. Let’s be generous and call that 15 kilowatt hours which (using the US average cost of electricity $0.13 per Kwh) works out at nearly $2 per day. Doesn’t sound THAT bad does it? Ok, let’s put it another way, $730 per annum. Hmm… that’s a sum of money I wold rather have back to spend on something else. But guess what? It’s actually really easy to do just that. These days LED replacements for halogen lamps (and especially for those spot lamps you see everywhere) are inexpensive enough that the savings in operating costs (e.g. electricity) usually pay for the investment between one and two years. Because the thing is that LED lamps not only last vastly longer than regular halogen ones (like 10 to 20 times longer) but they use considerably less electricity to deliver the same amount of light. That’s because they use modern semiconductor technology rather than burning (quite literally) a filament to the point that it glows white hot. 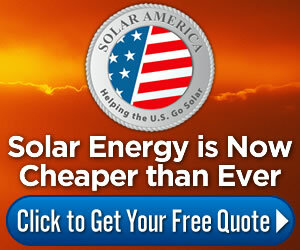 The savings come from not wasting energy in the form of heat. So how much less electricity are we talking about? A good approximation is about 10 times less, so you could cut that lighting bill from $730 to nearer $80 and save yourself $650 each and every year. And the cherry on top is that not only will you save yourself a lot of money, but by using less electricity you’re also helping to reduce the demand on our limited supply of energy. This in turn helps reduce global warming from both the amount of heat generated and the effects of burning fossil fuels to generate power.